We’ve recently added a new feature to the system that will send an email out to event staff 2-3 days before their event begins. The message will have information on the most important game day settings. 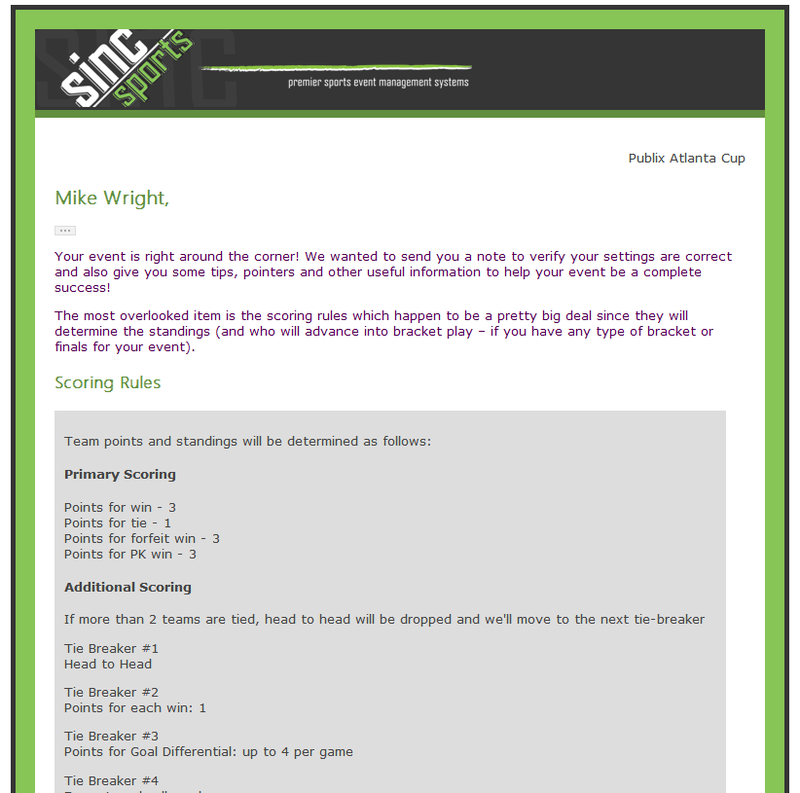 It will summarize the scoring rules that will determine the standings for your event, give you information on updating scores, changing games as needed, and how to contact us if you get stuck. The hope is to catch any errors before your event begins to help ensure that everything runs as smoothly as possible.